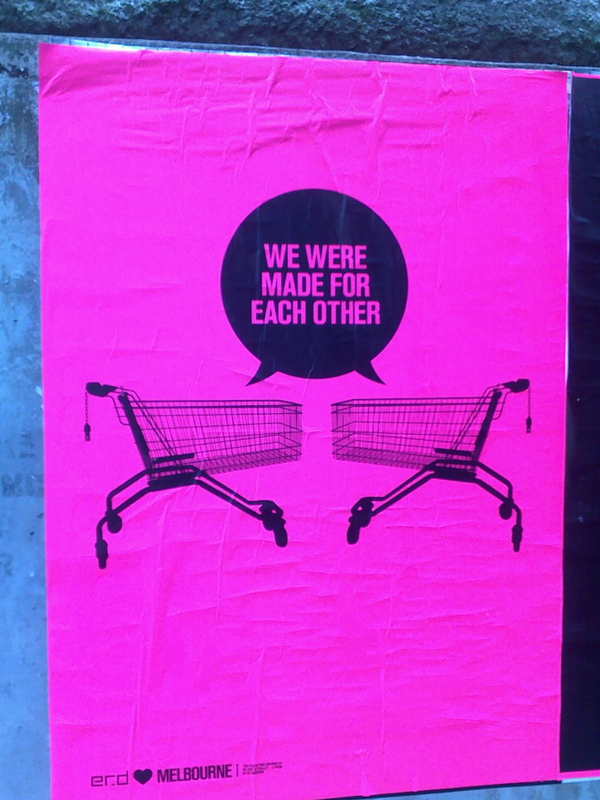 Home › i would like to recommend these people's writing › CBD poetry: So pink! 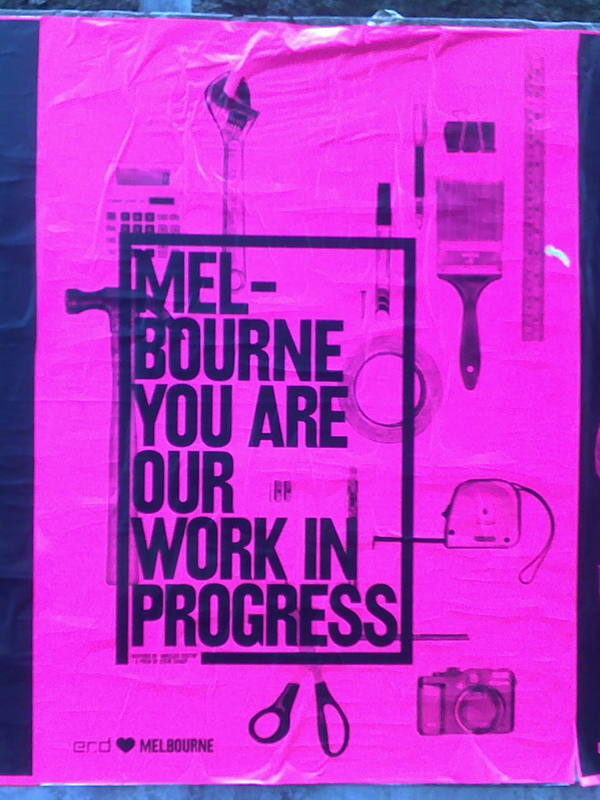 I was wandering the lanes up around Lonsdale and William Streets in Melbourne last week when I came across these very pink poetry posters stuck up alongside the usual promos for festivals and clothing brands &c.
Turns out they’re the work of a Melbourne design company called ERD Communications. Nice work, ERDers! It would be great to think that these are the first in a series. 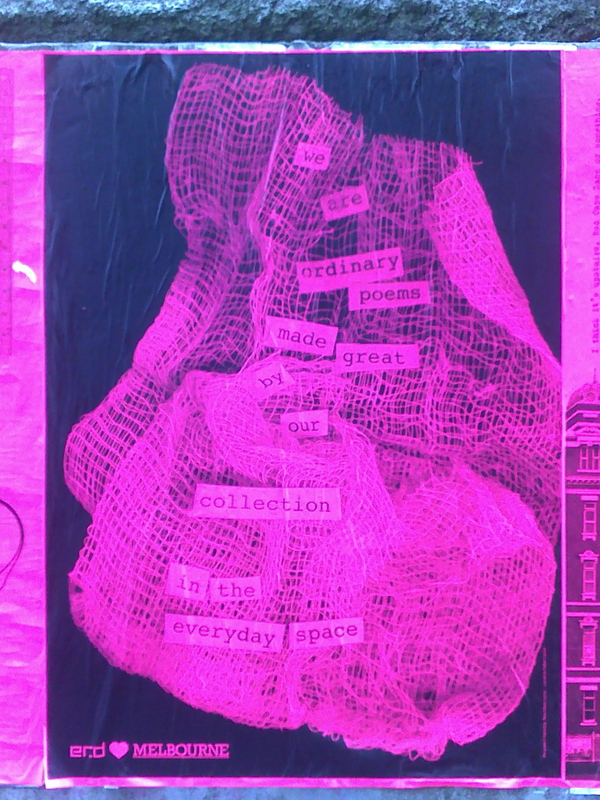 You can click on each image for a (vaguely blurry – apologies for my crap phone camera) closeup. Vetti: Live in Northcote (I never know if that means “I live” or “coming to you live from”) spotted some too – they seem to have good coverage of the CBD at the moment. 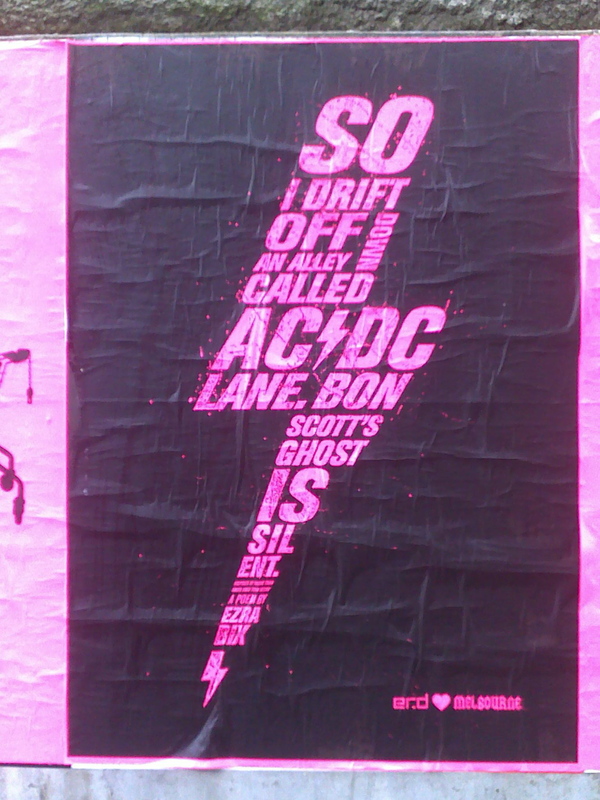 Not sure how long it’ll be before they’re covered up by ads for Wrangler or the new Beasties album, so if you like your poetry in the wild, I’d be heading to postcode three thousand fairly soon.